A crankcase ventilation system is used to consume crankcasevapors in the combustion process instead of venting them toatmosphere. 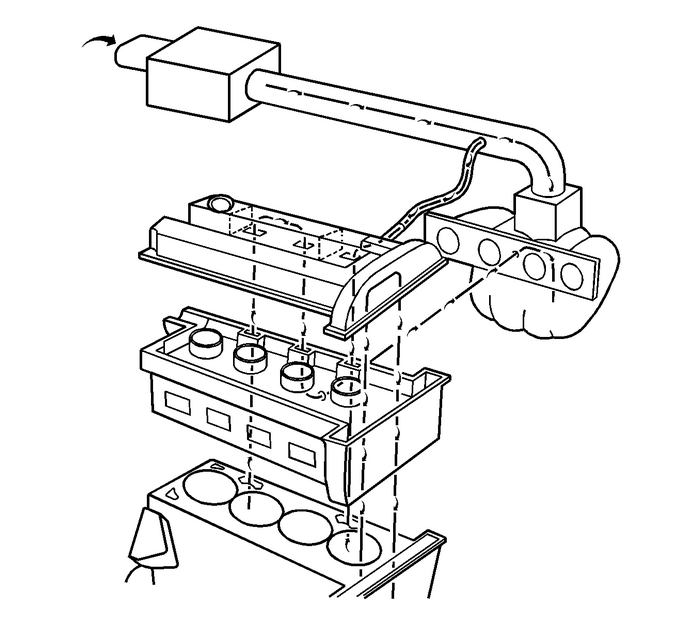 Fresh air from the intake system is supplied to thecrankcase, mixed with blow by gases and then passed through acalibrated orifice into the intake manifold. The primary control is through the positive crankcaseventilation (PCV) orifice which meters the flow at a rate dependingon inlet vacuum. The PCV orifice is an integral part of thecamshaft cover. If abnormal operating conditions occur, the systemis designed to allow excessive amounts of blow by gases to backflow through the crankcase vent into the intake system to beconsumed by normal combustion.